Angie Henry is a HPC registered Occupational Therapist and Accredited Hand Therapist (British Association of Hand Therapists, BAHT). She has 17 years qualified experience working in the NHS and private sector within inpatient, clinic, outpatient and community settings. 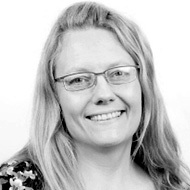 Angie has extensive experience in the rehabilitation of people with neurological conditions and post-operative rehabilitation for traumatic upper/lower limb injuries. Angie has a wide range of expertise including hand assessment and hand therapy utilising a variety of treatment modalities. She is responsible for the post-operative management of adults and children following hand surgery for congenital, acquired and traumatic conditions. Angie is committed to maximising the potential for clients by providing high quality care and working collaboratively as part of a comprehensive MDT service. She ensures ongoing professional development by regularly attending conferences and post graduate courses and also presents at national and international conferences.